Your kid comes home from school and tells you at the last minute they need their uniform washed. Or your husband needs his suit for an important meeting, or your friends call and invite you out, but your favorite dress is dirty. You don’t have time to wait for a full load of laundry to finish. What do you do? 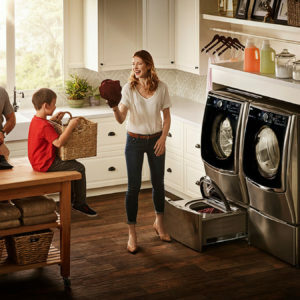 LG has the answer with its new LG Twin Wash and LG Sidekick System.